Preheat the oven to 200 degrees centigrade. Peel the carrots and slice them lengthways. Coat in the one tbsp of olive oil and balsamic vinegar, before adding the carrots to a roasting tin. Roast for about 30-35 minutes, at which point they should still have a bit of bite, but have started to caramelise a little round the edges. 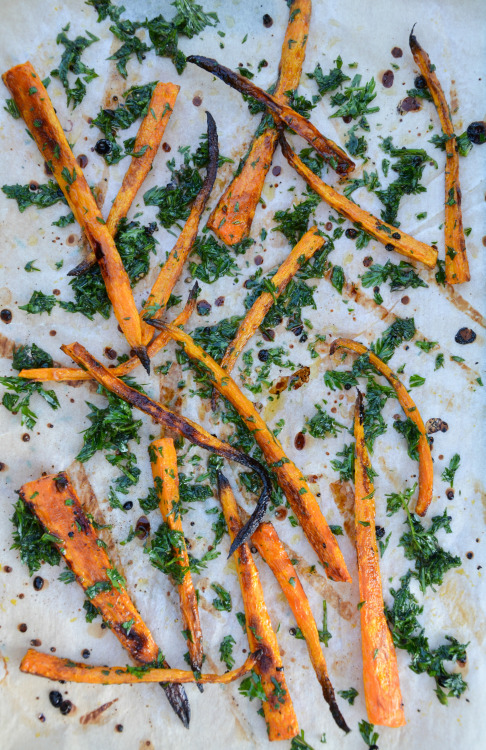 In the last few minutes of your carrots roasting, remove the carrot top leaves from the stalks, binning the latter. Rinse the leaves and chop them up finely, before adding them with the anchovy fillet, garlic clove and the 3 tbsp of olive oil. 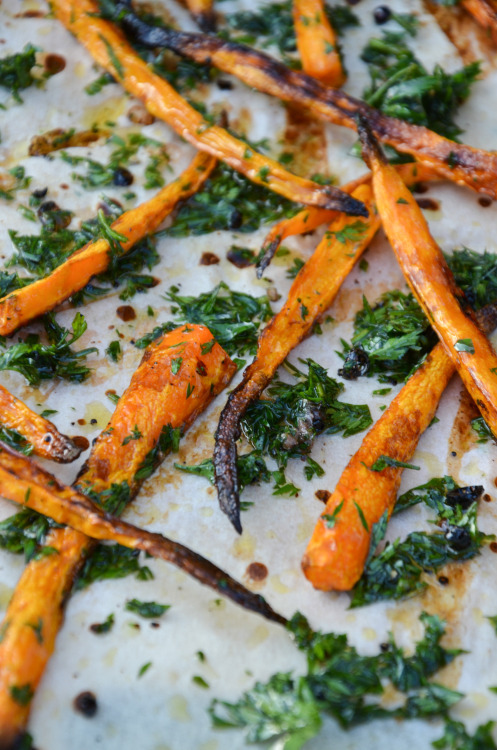 Just before serving, spoon the gremolata over the roasted carrots. Serve warm. I love anchovies, too! The best part– not much chopping. Great recipe!